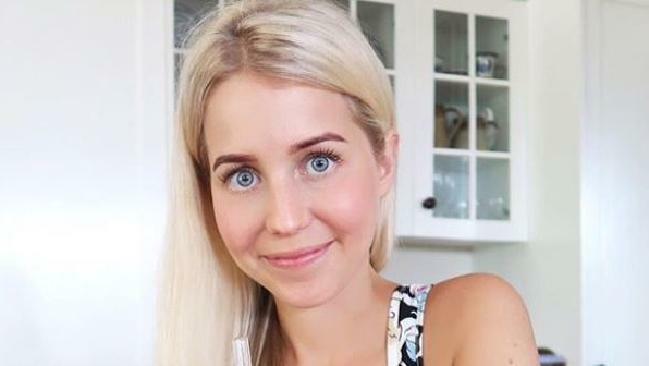 AN AUSSIE fitness blogger has received massive backlash after posting a photo on Instagram with a controversial message. Olivia Budgen wrote in a caption, which has since been removed: "Cancer and disease is your body trying to save you." "Allow me to possibly challenge your beliefs about cancer and other diseases. What if these conditions were not actually bad at all? What if they were created by the body to help save you? What if disease is your body's survival mechanism? "Being open-minded and changing your perspective around what disease actually is and why it's happening, will allow you to take back control of your health and realise that your body is ALWAYS working for you, and never against you." Now Budgen, who believes cancer and disease is not a "horrible monster (to) fight and destroy," has been attacked for spreading "ill-informed nonsense" by followers. The health coach tried to explain her logic, stating "in this modern day we are consumed by the medical industry's information which leads us to believe that disease happens to us through genetic disposition," but, "disease is a natural defence mechanism to prevent a much more serious situation from occurring." She also added that "cancer is a survival mechanism" defending the body from toxicity. The post earned Budgen comparisons to Belle Gibson, the disgraced blogger who faked brain cancer and claimed her natural diet cured her. Gibson had built an empire around her false claims, producing a best-selling app and cookbook backed by her misleading remarks. Now, those in the medical industry have been quick to refute Budgen's assertions. "The recommendations in Ms. Budgen's social media post bear no relation to any scientific facts about how cancer starts or how it can be treated," Cancer Research UK's head information nurse, Martin Ledwick, told The Metro. "Her stance is extremely insensitive to people who have cancer and to those who have lost someone to cancer, as it implies that a few changes to diet will save them." Previously, Budgen had posted a message with similar sentiment on Instagram, stating that there is only one disease in the world. "One of the biggest mistakes is categorising diseases and viewing them as different," she wrote. She continued on with her explanation that disease only exists from "processed 'food' out of a box, taking poison (pharmaceutical drugs) to cover up symptoms, injecting … children with toxins, overeating to numb … emotions, wearing shoes all day and never being grounded, hiding from the sun, slathering synthetic chemicals on (our) skin, and so on." This article originally appeared on Fox News and is published here with permission.